Thank you for all the support in 2013! | A creative life tangled up in lovely yarn! Thank you for all the support in 2013! For me 2013 has been a very exciting year. My first knitting book, knit Nordic, was published in the UK and Norway. I have had my designs in several UK knitting magazines and will have designs in Interweave Knits next year. I have found a daytime job that makes it possible for me to combine knitting and policy work and as the year closes in I am very happy! A lot of the good things that has happen to me are due entirely to your support and trust in me. When you buy my book or my knitting patterns it is a boos to my self confidence – every time! It makes me feel like I am contributing a bit of happiness to someone. As a small token of my gratitude I have designed this Hearts Cup Cozy for you to make. You can download the pattern for free here. I hope you all will keep following me as my adventures in knitting continues. 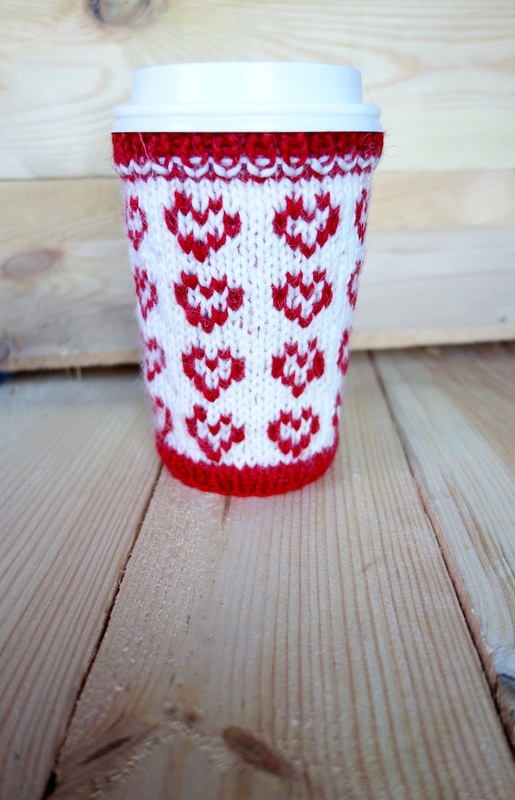 This entry was posted in Uncategorized and tagged christmas, cup cozy, Eline Oftedal, free knitting pattern, hearts, love, red and white by eline. Bookmark the permalink.